Induron partnered with Garver Engineering and Robinson and Sons to complete this 3-tank exterior overcoat project in Helena, Alabama. These three tanks are the only ground storage tanks in Helena, so providing superior corrosion protection, extending the exterior warranty and making them aesthetically pleasing were the goals of this project. Induramastic 85 was used as a primer on all three tanks. This product was specified because it is designed to provide long-term protection to unpainted or previously painted steel without requiring sandblasting. Induramastic 85 is a high build, surface-tolerant epoxy formulated for excellent adhesion to clean steel, rusted steel, weathered galvanizing, wood, concrete and most existing cured coatings, which makes it ideal for overcoating projects like this one. Two coats of Induramastic 85 will outperform many conventional coating systems that usually require costly blast cleaning. The one-million-gallon tank near the city’s high school was the larger and more prominent tank in this project. 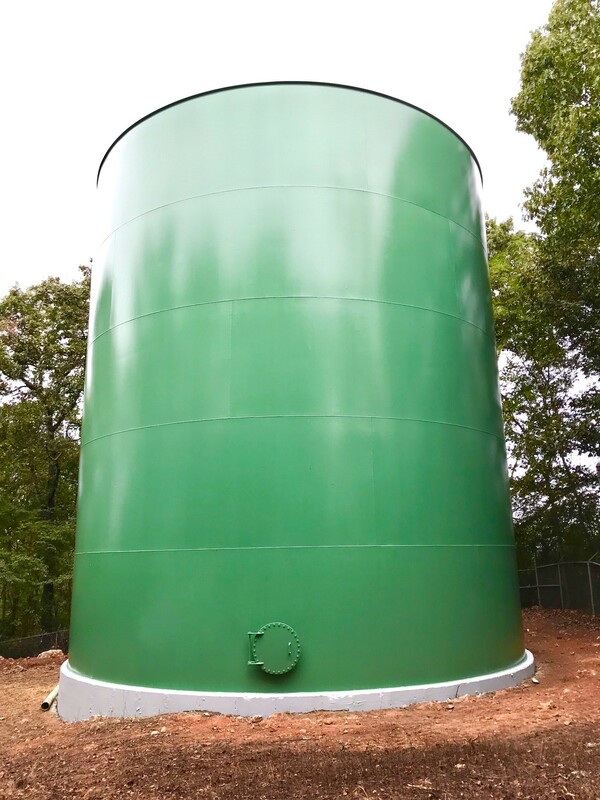 Perma-Gloss Fluorourethane was specified as the top coat for this tank because it provides the best color and gloss retention in the market, which was needed due to the tank’s prominent location. Perma-Gloss Fluorourethane also significantly extends color stability, allows for easy graffiti removal and is available in virtually any color. A light blue color was used for this particular tank. On the two smaller tanks, Indurethane 6600 + Polyurethane was used as the top coat. Indurethane 6600+ is a high-gloss, aliphatic polyurethane coating designed to provide corrosion protection of steel in moderate to severe environments. It provides outstanding color and gloss retention and is available in a wide color range. Because these two tanks are in wooded areas, green was chosen as the topcoat color so they would blend in with their environment. Overall, Induron’s products enabled the customer to save costs while providing great corrosion protection and extending the exterior warranty of the tanks. Induron was selected as a partner in the project because of our relationship with Garver Engineering and how we choose to conduct business, so it was a great win for Induron. 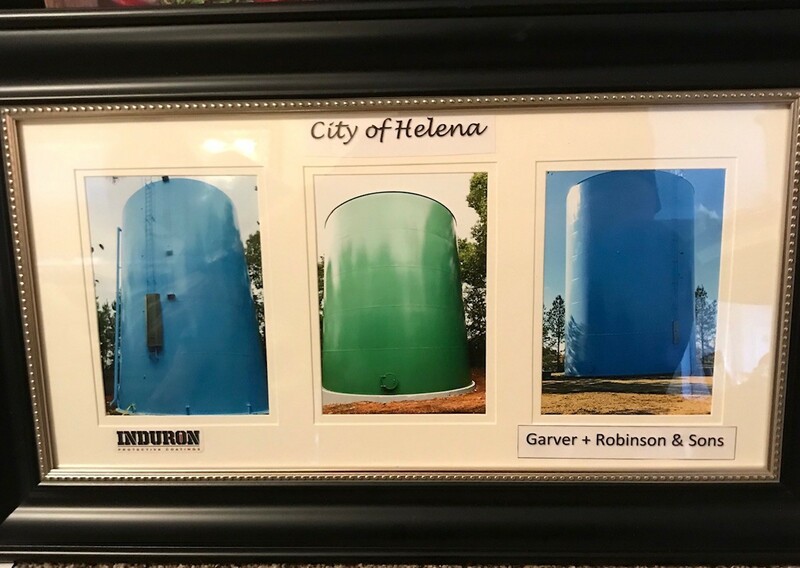 This project enabled Induron’s business practices and values to shine just as the tanks did when the painting was completed.